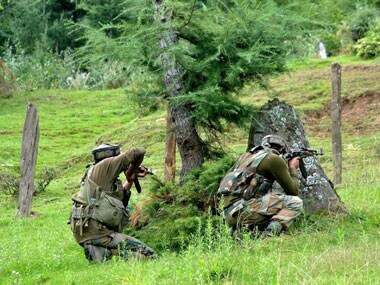 After more than 56 hours, the Pampore encounter in the EDI complex ended on Wednesday afternoon, wherein two militants were killed. As the operation to flush out holed up ultras inside a government building in Pampore on the Srinagar-Jammu National Highway entered on the third day on Wednesday, two weapons were recovered from them without any collateral damage, General Officer Commanding (GOC), Victor Force, Major General Ashok Narula said. The combing operations in the nearby areas are, however, still underway. 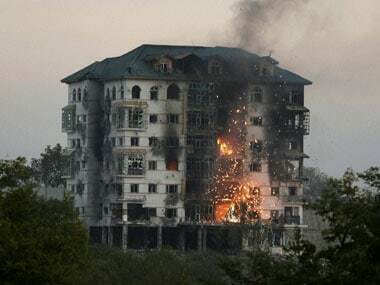 Major General Narula added that this operation was particularly tricky because the complex occupied by the terrorists was a very huge building and there were chances of civilians being inside. The army's priority was to avoid collateral damage. Adopting a cautious approach, the security forces combed the EDI building to flush out the militants suspected to be of Lashker-e-Toiba (LeT). "We have taken our time. This is one building and it has 60 rooms. It has a ground floor, six floors and one attic. 60 rooms have as many bathrooms. That is the reason it takes time to clear each and every room," Major General Ashok Narula said, adding the clearing operation had started this morning. "We took our time to eliminate the terrorists to avoid collateral damage," he told reporters at the end of the operation. The Entrepreneurship Development Institute complex was a symbol of development in the valley, where the Kashmiri youth were imparted entrepreneurial skills. "EDI is a centre of excellence and a lot of our young brethren get employment. And it is very sad that for the second time they have come and an encounter has happened," the officer said. Besides, the army also said that the venue of attack was chosen so as to maximise casualty and also to attract attention. Security forces had been pounding the building of Entrepreneurship Development Institute (EDI) since Monday after three militants barged inside the complex with the aim of engaging the law enforcing agencies. 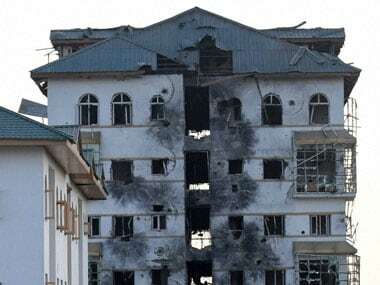 The operation to flush out holed up militants entered the third day as security forces continued shelling the multi-storey structure with mortars and rockets to bring it down. The bodies of the two militants killed in the operation have been recovered, officials said. Most parts of the concrete building have been reduced to a skeleton after many of its walls were blown up. Elite Para commandos of the army had also been called in to neutralise the militants but the security personnel are not rushing in to the building to avoid casualties, the officials said. 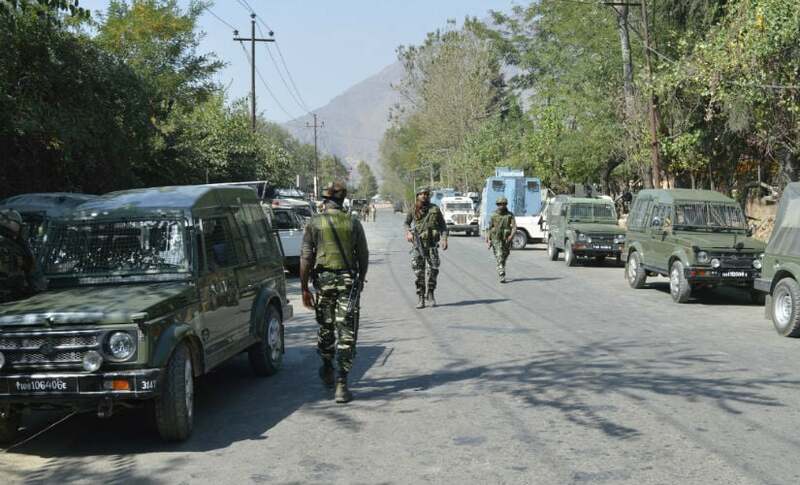 The army cordoned off the area around the EDI premises on Monday soon after smoke was soon rising from the building to prevent the militants from escaping, the official said. Two to three militants stormed into the EDI complex in the wee hours of Monday and took positions inside one of the buildings. The 70-room, seven-storey building is located at Pampore on the banks of the river Jhelum and 12 km from the Srinagar city centre. The joint operation was launched by the army, the Special Operations Group of the state police and the Central Reserve Police Force (CRPF). The ultras could have entered the complex from the riverside but that can only be ascertained once the operation is over, the officials said. Two security personnel and a policeman were injured as the militants fired from inside on Monday, according to IANS. Militants had targeted the EDI building in February this year as well. Five security force personnel including two young army officers and a civilian employee of the Institute and three militants were killed in that operation which lasted 48 hours.